For more than 50 years, BD (Becton, Dickinson and Company) has been a leader in providing the most advanced drug delivery solutions. Since the first BD Hypak™ glass prefillable syringe (PFS) was introduced in 1954, BD has continued to innovate, developing ever more efficient manufacturing processes, novel technologies, and improved patient experiences. Today, BD offers a wide range of products that include glass PFS, plastic syringes, self-injection devices, safety and shielding systems, and needle technology. In 2005, BD launched the Sensitive Drug InitiativeSM (SDI), partnering with drug manufacturers to understand interactions between drug products and their primary containers. From this, BD developed a low-tungsten forming process in 2006 to achieve the lowest possible tungsten levels and avoid interactions with the drug product. More recently, BD introduced the BD HyFlow™ needle, a novel 27-gauge, special thin-walled (STW) needle that allows comfortable injection of highly viscous biopharmaceuticals. BD Neopak™ glass PFS became available in June 2013 and is expected to reset the standard for quality and innovation in delivery of today’s novel drug therapies. BD’s philosophy is the same today as it always has been: to be a total solutions provider for customers across all aspects of delivery for injectable drug products. BD understands that meeting customers’ complex and evolving needs requires extensive consultation throughout the entire process from development through commercialization, and has built an organization and capabilities that deliver support at every step. Step 1 is forming a cross-functional project team mirroring a customer’s own, facilitating interaction at every level and allowing BD to be an extension of each customer’s organization. 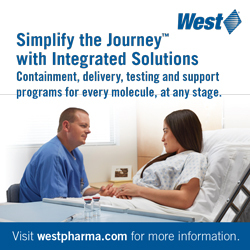 Step 2 is consulting early with customers to define their drug delivery needs and determine the optimally suited container and device solution. Step 3 is compatibility testing designed to mitigate risk proactively as it relates to drug product compatibilities and stability. Step 4 is moving toward routine implementation, delivering worldwide filing and regulatory expertise. Finally, step 5 is leveraging BD’s established manufacturing capabilities, ensuring continuity and risk mitigation of supply. 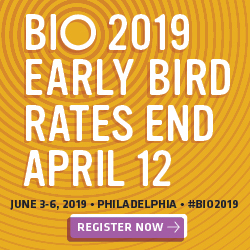 Three key stakeholders in the biotech space help drive BD’s culture of innovation: patients and healthcare workers looking to improve compliance and comfort through fewer, simpler, and more comfortable injections; regulatory agencies looking at drug safety, drug/container interactions, and whether combined systems meet requirements of combination product guidelines and human factor design; and pharmaceutical companies, where targeted therapies for cancer and chronic diseases are driving development of biologic drugs – which tend to have larger molecular weight active components at high concentrations and to have specific requirements due to their high viscosity. A final consideration is total cost of ownership. BD has a long history of working closely with pharmaceutical companies to ensure continuity of supply and minimal waste, keeping costs in line with customer needs and expectations. The BD Neopak PFS represents a step change in syringe technology, taking lessons learned from experience with the BD Hypak syringe and adding cutting-edge technology in manufacturing, design, and durability. BD Neopak syringe comes from a new, fully indexed manufacturing process with less intrinsic variability that delivers parts per million process control. company or a contract manufacturing organization, including meeting quality standards and delivering the quantity required to meet market demands. Figure 1 illustrates how BD applied this functional analytical approach to development of the BD Neopak glass PFS. The takeaway is that the BD process started with the “end use” of the PFS in the patient’s hands and worked backward to identify the elements needed to supply that function and maximize the chances that the full system would work together smoothly once the drug was inside. In doing so, BD is changing standards for glass PFS through technology and innovation in functionality, dimensions, strength, and needle technology. BD Neopak glass PFS is built using a unique manufacturing infrastructure that employs 2 parallel forming modules (versus 8 to 10 for BD Hypak syringe) to feed the single needle-assembly machine. This reduces intrinsic variability, enhances the ability to trace each unit to its source, and accelerates manufacturing timing. This infrastructure also uses a new process to ensure product quality by avoiding glass-to-glass contact, unnecessary inner contact with the syringe, and other novel techniques that convey multiple benefits (Table 1). The result is a process engineered to eliminate potential causes of defects and reduce variability. Glass strength is a basic feature of glass syringes and of increasing concern to regulatory agencies, as illustrated by an increase in recalls and Warning Letters regarding glass-related issues. Glass is a non-crystalline solid that exhibits brittle behavior and is prone to fracturing in use or during manufacture. Factors contributing to fracture risk are the density or probability of encountering defects in the glass, the energy applied, and the initial state of internal constraint. BD’s strategies to mitigate glass breakage include reducing the occurrence of glass defects at all points from manufacture to delivery to the patient; reducing the energy applied, for example, by choosing a small round flange or secondary packaging that better protects the PFS; and increasing the level of compression strength at the material surface. The manufacturing process for BD Neopak syringe addresses these issues through a Quality-by-Design approach. Compared with BD Hypak for Biotech syringe, BD Neopak syringe has three times greater crush resistance, which facilitates auto-injector compatibility and minimizes risk of breakage. Another example is dimensional precision of the PFS, which is important not only in the context of drug administration but also during the manufacturing process. BD has chosen to improve the tolerances of the glass cane to reduce variability for filling height requirements. This also provides benefit by design in terms of dimensional variability at the forming stage. BD has put the “dead space” – which affects overfill and dose accuracy – under control. The result is more accurate dosing with less need for overfilling the syringe. Glass syringes are coated internally with a layer of silicone to facilitate movement of the plunger during injection. Traditionally, silicone is applied using a fixed nozzle located outside the cylinder. BD developed a coating technology using a “diving-nozzle” that is inserted into the cylinder and pulled out as the silicone is sprayed, delivering a uniform coating throughout the inner surface. A BD study showed that at a typical manufacturing setting (0.4 mg), the diving nozzle produced a more consistent coating than the fixed nozzle, which left some gaps in silicone coating near the tip of the cylinder. The practical effect of this is evident when friction in terms of glide force is examined. A greater quantity of silicone is needed to optimize glide force using the fixed nozzle process. 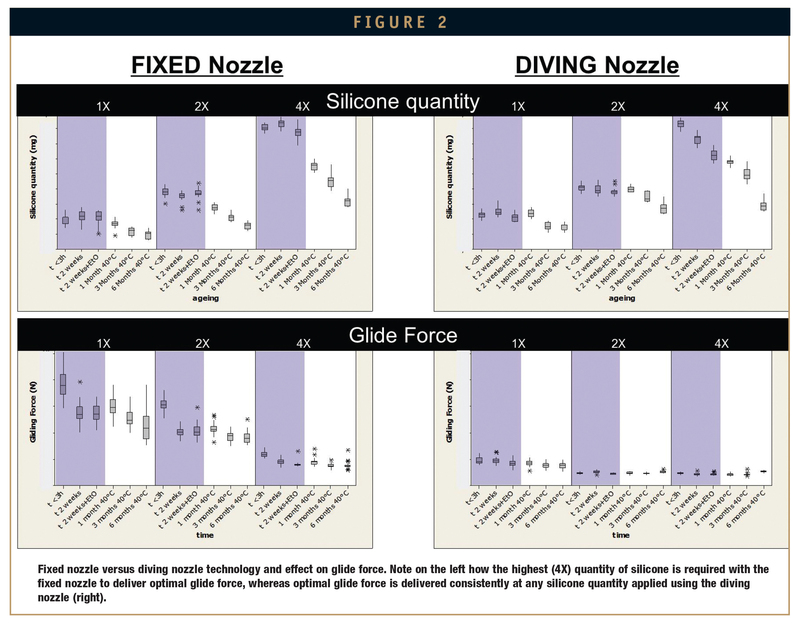 In contrast, the diving nozzle process delivers optimized glide force consistently at all quantities (Figure 2). With the BD Neopak syringe, the diving nozzle is used along with the lowest amount of silicone, delivering minimal friction to ensure functionality for the end user while reducing the risk of drug-silicone interaction. Needle technology also affects functionality. 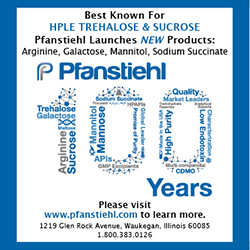 Today’s biotech drugs are large, complex molecules, formulated at high concentrations that lead to highly viscous drug products. A larger needle diameter can facilitate delivery of these highly viscous drug products, but also can negatively affect the patient’s experience. At BD, innovation in needle technology has made available two needles specially designed to address these issues: BD Hypak™ Physiolis™ needle and BD HyFlow needle. The BD Hypak Physiolis needle combines a 29-gauge, 0.5-inch, 5-bevel thin-walled needle and a novel Rigid Needle Shield, using BD260 elastomer that helps to preserve needle point integrity. This needle is clinically proven to improve patient experience through a 40% decrease in pain perception and a 70% decrease in penetration force. BD HyFlow is a STW 27- gauge needle that enables self-injection of viscous drugs using a lower penetration force than 26-gauge needles. By allowing a wider inner diameter to facilitate drug delivery inside a smaller outer-diameter needle (Figure 3), injection times using BD HyFlow needle are 50% shorter versus standard 27-gauge needles and 10% shorter versus 26-gauge needles. To summarize, BD Neopak glass PFS have been designed from the ground up to meet the requirements of pharmaceutical companies, regulatory agencies, and the patients or healthcare workers who will be using these products. Through innovative design and manufacturing processes, the BD Neopak syringe provides a drug delivery system with improved strength, accuracy, and function. Although silicone is a necessary component of modern glass PFS, concerns have arisen about the potential for SbVPs of silicone to leach off from the syringe’s inner wall and become mixed with the drug product. This presents the challenge of maintaining syringe and auto-injector functionality while simultaneously minimizing or eliminating SbVPs. BD approached this challenge through developing an understanding of silicone oil’s role in development of SbVPs and then investigating ways to reduce or even eliminate the contribution of the container to SbVPs in the drug product. The result is a cross-linked, inert silicone coating, called BD XSi™ coating for syringes. BD XSi coating consists of a polydimethylsiloxane (PDMS) layer using Dow Corning 360 silicone oil, which introduces no new chemistry or chemical substances, and limited new regulatory issues. The cross-linked PDMS builds an immobilized, hydrophobic layer between the glass and the drug product that is theoretically inert to proteins. What this means in practice is that BD XSi syringes deliver SbVP levels barely distinguishable from glass containers with no silicone coating at all (Figure 4). These findings have been confirmed in studies with therapeutic monoclonal antibodies, supporting the low SbVP potential of BD XSi technology. Another factor is the integrity of the surface coating as it relates to the syringe, measured by filling syringes that have different coatings with a surface-active placebo and agitating them for 48 hours. After the filling is drained, the coating is examined using refractometry. A normal silicone oil coating will show substantial perturbation following this test, but BD XSi coating remains essentially intact after 48 hours of agitation (Figure 5). This finding contributes to BD’s confidence that upon storage or shipping, BD XSi-coated syringes or auto-injectors will remain stable, with very little disturbance to the coating or development of SbVPs. In assessing marketplace needs to address, BD returned to the glass used in making syringes and auto-injectors, and how techniques to strengthen glass could improve issues of breakage, system integration, time to market, and total cost of ownership. After reviewing various glass-strengthening technologies, a decision was made to pursue ion-exchange technology, as it is an established technique that met BD’s standards for cost and regulatory thresholds. Ion exchange technology improves glass strength and durability. The technology involves immersing a glass syringe in a molten bath of neat potassium nitrate. On an atomic level, larger potassium atoms and smaller sodium atoms exchange at the surface of the glass, resulting in the installation of a compressive layer at the surface. The result is a much higher performing glass syringe than has been seen in the past. The flange test and the crush test, both standard in industry, are used to measure glass syringe strength. In the flange test, the syringe is held by the flange within a fixture while a probe is advanced through the syringe’s internal space until the flange breaks. In the crush test, the syringe barrel is placed on a Vblock with the flange hanging on the edge; a cylindrical pin pushes on the outer diameter of the syringe until it fails. Figure 6 shows results of a flange strength test for glass syringes created without and with the ion-exchange process. In using this technology, BD is challenging the industry notion that strength deterioration is progressive and irreversible. In fact, with these technologies in place, it appears deterioration can be prevented and, even in containers that have undergone tremendous processing, reverse the defects and “install” strength. This translates to a patient benefit in increased durability of their injection systems. In a drop test done by ISO methods with 10 strengthened syringes placed in a commercially available auto-injector, all 10 samples remained intact after 100 drops – whereas standard syringes in the same auto-injector broke after a range of 8 to 81 drops. The results of the strengthened syringe drop tests were confirmed by X-ray to ensure no breaks were missed. An interesting side note is that all 10 samples of non-strengthened syringes in BD Physioject™, an auto-injector optimally designed to protect the PFS, also survived for 100 drops, demonstrating the importance of whole-system design to the robustness of a drug delivery system. The strengthened glass has been subjected to mechanical and chemical testing to determine whether other features of the product were affected by the ion-exchange process. In a large-scale feasibility study, more than 70,000 syringes were tested against a control standard syringe over 6 months and in various conditions. No changes were seen in silicone behavior or migration, glide force, closure integrity, or other crucial factors, providing strong evidence and confidence that ion-exchange strengthened glass is a viable solution for the market. In summary, BD has made significant development and commercial manufacturing investments in glass PFS container technology for the biotech industry with three key areas of focus: reducing overall variability, reducing SbVPs, and increasing glass strength and durability performance. The BD Neopak glass PFS is a culmination of these efforts that should reset glass PFS quality performance levels in manufacturing operations and in the marketplace. The BD Neopak syringe manufacturing process minimizes variability and delivers part-per-million quality control, meaning that instead of a certificate of conformance, customers receive a certificate of analysis. With the methodologies of Quality-by-Design and the way BD has thoughtfully approached these challenges, there is a possibility of achieving zero preventable defects across a number of syringe attributes. 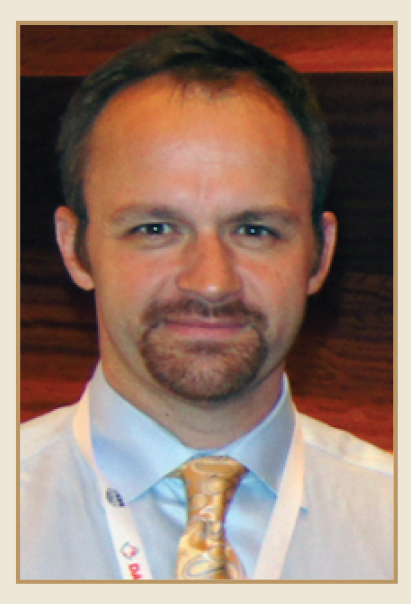 Dr. Justin M. Wright is currently Director, Pharmaceutical Development, BD Medical- Pharmaceutical Systems. He earned his PhD in Bio-Organic Chemistry from Clemson University and spent 2 years as a research fellow at Harvard Medical School. He then joined Merck & Company, where he spent 7 years in roles of increasing responsibility across new product development, product commercialization, and franchise management. In early 2007, Dr. Wright joined BD Medical – Pharmaceutical Systems, where he currently serves as BD’s primary technical interface for the Biotech, Vaccine, and Pharmaceutical industries in developing and commercializing complex and sensitive drug products in drug delivery systems and platforms. In recent years, he has served as an expert witness in numerous forums, including the National Acadamies of Sciences (IOM), National Vaccine Program Office, and Biomedical Advanced Research Development Authority (BARDA), where he provided expert testimony for the US National Vaccine Plan and the National Pandemic Plan. His current research interests include developing novel approaches and scientific strategies for assessing drug product performance in drug delivery systems and defining clinical models for micro and macro drug administration. Dr. Wright is a member of the AAPS, PDA, and ACS. He is the author of more than 25 patents and publications. Herve Soukiassian is the Biotech cluster core leader at BD Medical – Pharmaceutical Systems and manages a worldwide cross-functional team focused on serving the needs of the Biotech industry. Prior to joining BD 6 years ago, he was a member of the Board of Directors at ActiCM, a start-up company spin-off from the Commissariat à l’Energie Atomique (CEA) specialized in Optical CMM, where he led the portable devices product line for 4 years. 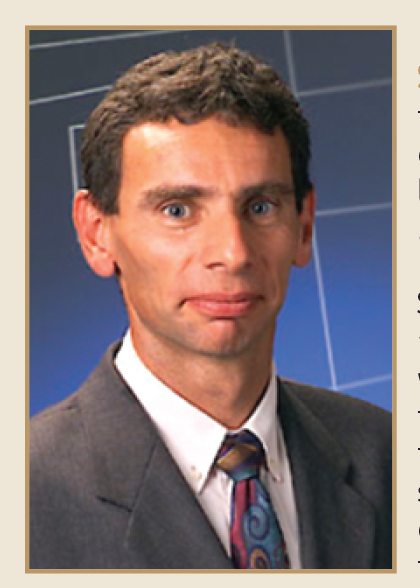 During his former 13 years with Hewlett Packard, he gained experience and developed expertise in the field of process engineering – learning and applying key concepts of Total Quality Control, Design for Manufacturing & Assembly, Just in Time, Single Minute Exchange of Die, Theory of Constraint – in the field of product development – mainly in relation with Far East OEMs – and supply chain during the HPCompaq merger.